Friday Afternoon session - color designing/colorwork project (soap sack) - some will work on project, some will design and then switch. Saturday Afternoon – Field Trip to the local Yarn Shoppe. Lots of great yarn, pretty reasonable prices for the yarn. Saturday Evening session - guest choice Q&A, "Open Studio" session of going over what has been learned so far and catching up on the projects if things aren't done yet, scrubby short-row project and needle felting demonstration. 2 crochet hooks - 1 size D and 1 size H, yarn needle, loom pick. Registration Fee Includes All of the Following Great Things!!! 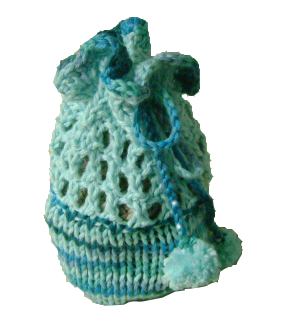 Thursday – Saturday Sessions, Gift Tote, yarn needed for projects, Kiss Loom, Friday and Saturday Lunches and snacks throughout the retreat. After Sept 5th registration is $150.00. Please note the hotels listed below had good reviews and are fairly new. This can not be said of all hotels in Carbondale. Please read reviews before picking a hotel not on this list. If you are interested in sharing a room to cut down on costs please let me know and i'll put you in contact with others. Register to stay up-to-date on things going on here at kellyknits.com. By registering you will receive emails when updates are made to the site.